Get ready to party P3! 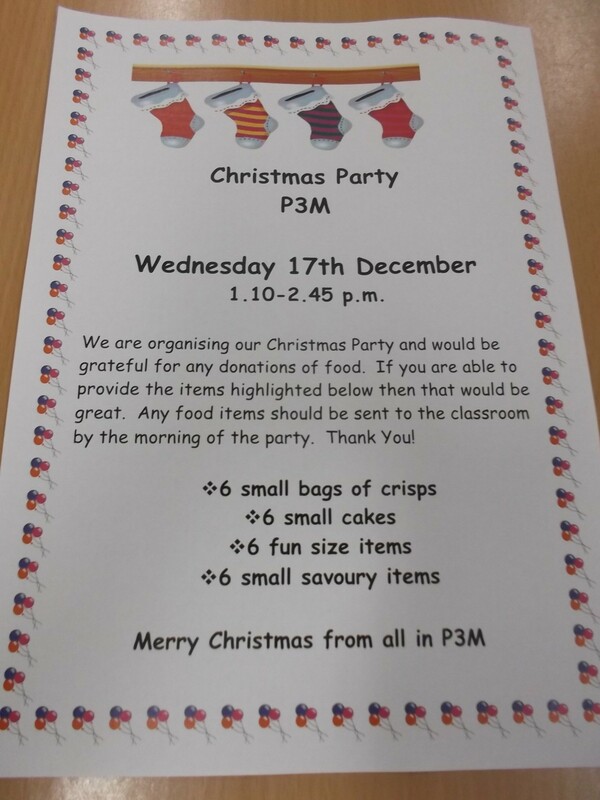 We will be sending out our Christmas party letters this week so please check for these in school bags. Suggested donation items will be highlighted on the letters. Thank you for your support! This entry was posted in Uncategorized on December 3, 2014 by lochardilp3blog.